We define “talent” as the ability to carry out an occupation. In other words, we relate a specific activity with the competencies and/or skills of the people who carry it out. However, talent is a lot more than this. Above all, it constitutes differential value for companies because it is what distinguishes excellence from competitiveness and, what’s more, it gives companies a competitive edge. But what kind of talent are companies looking for today? Some of them, with a view to distinguishing themselves from competitors, seek out specific talent that fits in with their singularity, culture, values and objectives. Others try to attract similar candidates to take up strategic positions. In either case, the question that all company owners need to ask themselves is what would their company be without this talent. 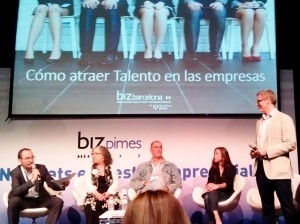 It is obvious that we need a plan to attract the best talent to our company and to ensure that it will stay with us. In this respect, we need to draw up a plan to seduce the best profiles. Enric Delgado, the head of cloud computing strategies for IBM in Southern Europe, explained this at this year’s EADA Executive Meeting. He pointed out that its CSR strategy had seduced many young talents, most of whom were millennials, very demanding profiles that do not grab the first job offer that comes along. Build a story. Here we should ask ourselves the following questions: How are we going to explain what we do? What are the most relevant aspects that distinguish our story from those of other organisations? What values distinguish us from our competitors? What format or style are we going to use to explain all this? Once we have answers to these questions, we have come up with our company’s story. But in order to make sure that the story has the desired effect we have to be honest, genuine and trustworthy. Identify our target profile. Whether what we are looking for is singular talent or several candidates with similar talent, the candidates must possess certain predefined qualities and skills. We need to analyse the competencies and/or qualifications that we require, the search channels that are most effective for finding what we are looking for (jobsites, social networks, personal contacts…), and also, the places where our talent is most likely to be found. Compensation plan. In addition to phases one and two, it is essential to ensure that the talent that we want to attract knows what we have to offer. And I’m not just referring to economic compensation but, principally, to questions that are much more important such as professional development and training inside the company, the chance to take part in exclusive projects and/or stimulating, challenging responsibilities, a positive work environment, flexibility and conciliation policies. The fewer things we leave to chance and the more time we spend on preparing an effective talent incorporation programme, the more the candidate will perceive a solvent project with a clear, attractive message. We mustn’t forget that although the employer values the prospective candidate’s competencies –the sum of expertise, attitudes, motivations, aptitudes and/or capacities— the candidate is also in a process of selection; they too are weighing up all the options. Our efforts must therefore be focused on understanding their “reasons for purchasing” your offer, what will motivate them to form part of our team. But it doesn’t end there; these three phases are just the beginning. We also need to be capable of ensuring that this talent remains fully committed to the company, that it does its very best and that it identifies with the company’s values. My recommendation here is to follow these five rules: LOOK AFTER talent, implement a recognition CULTURE, establish a GROWTH plan, create an ATMOSPHERE that promotes commitment and a fair COMPENSATION plan. In short, I’m in favour not only of placing people with talent at the centre of our recruitment policies, but their needs and expectations as well.